Small Cap Stocks Are Rising. Biotechs Can’t Be Far Behind! 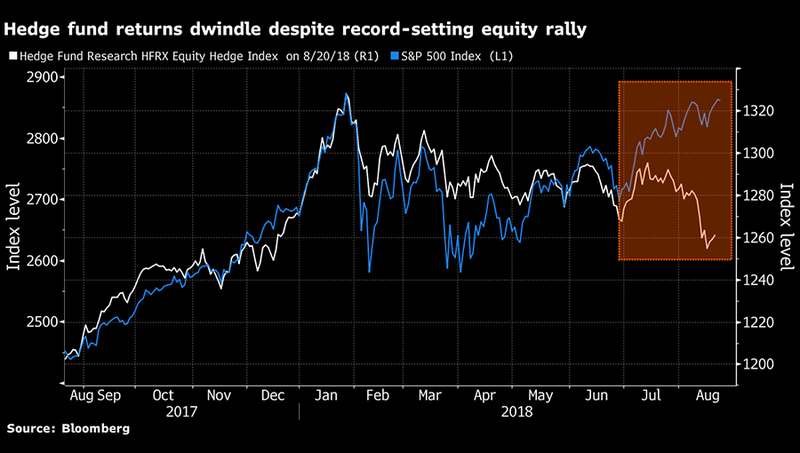 While much attention is being riveted on the S&P 500 new all-time high eclipsing the January one, small cap stocks accomplished that in May. Small cap stocks are in their next leg up as they record new all-time highs, once again leading the broader indexes. 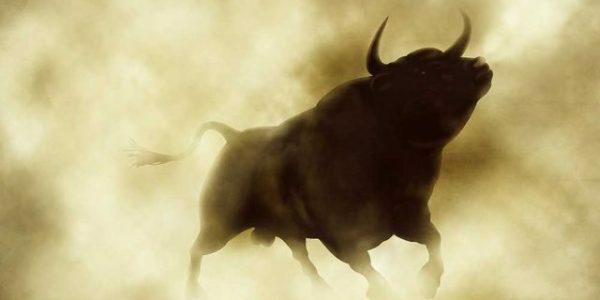 Even though there is a mist of uneasiness and a never-ending fear of a pullback, the stock market continues to show a propensity to move higher. 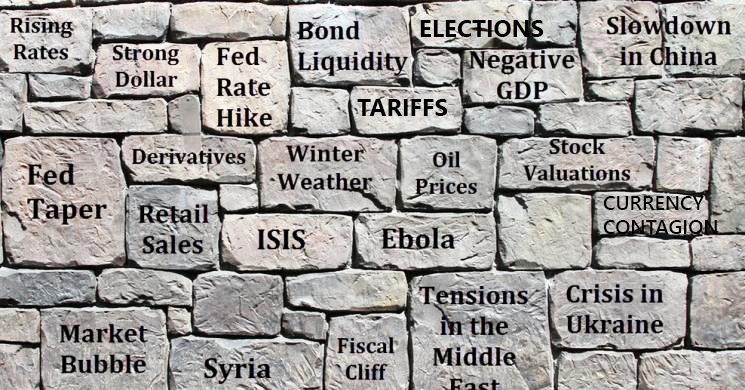 A lot of things have to be right when small cap stocks are leading - the economy, the interest rates, the earnings, and a risk-on environment. 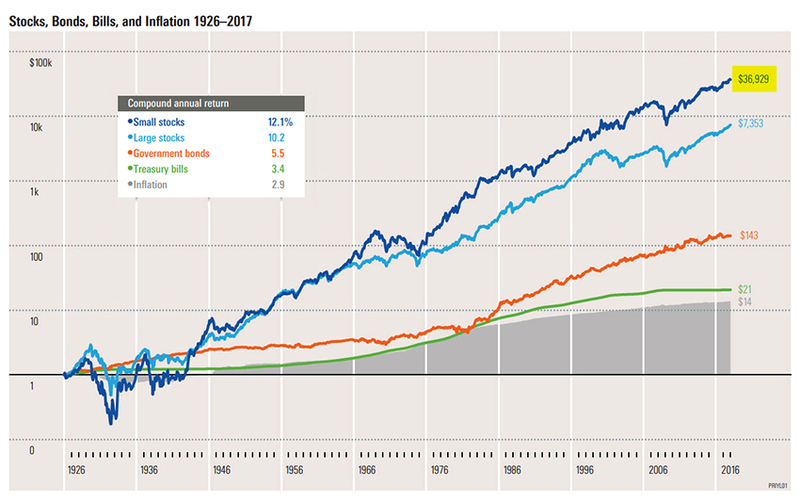 Size or market cap is an important factor affecting total returns. 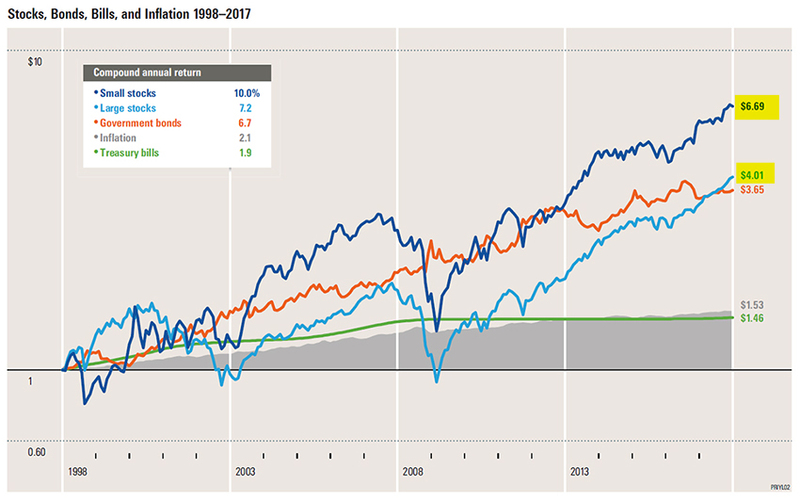 Over the period shown above, small cap stocks have performed over 5x better than the next class, the large-cap stocks. 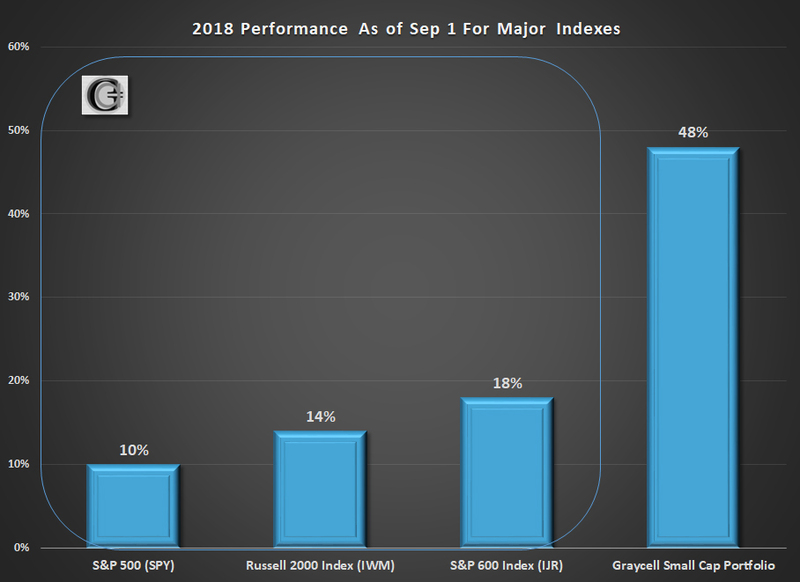 The performance of small cap stocks this year has been propelled by a variety of reasons, primary among them being the underlying strength of the economy. A strong domestic economy assists all US corporates, but more so the smaller caps which have a higher concentration of domestic revenues. 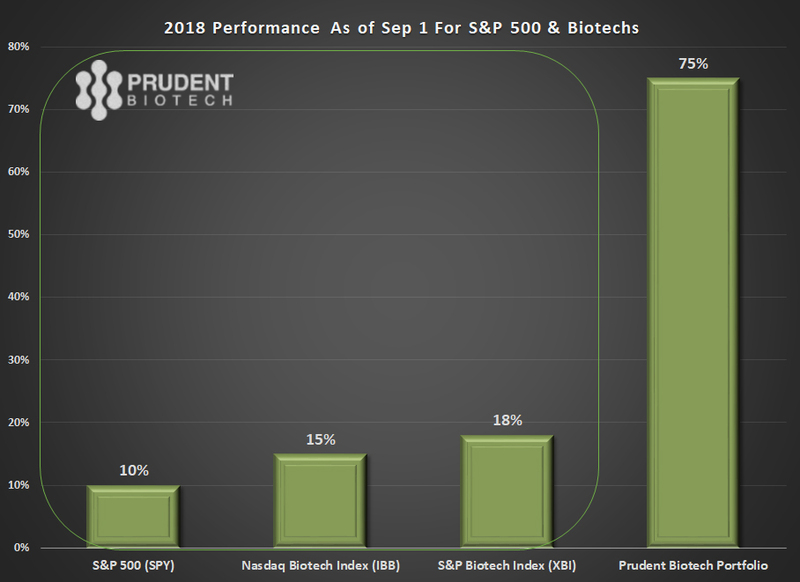 The Prudent Biotech Portfolio had gained +75% and the Graycell Small Cap Portfolio gained +48% as of Sep 1, and we believe a tilt towards small and midcap stocks remains an attractive investment opportunity. 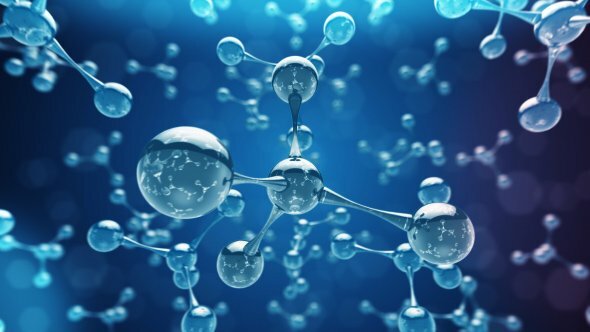 There are many promising small cap stocks as well as biotech stocks across the market cap spectrum that have been doing well and a few of them include, Ligand Pharmaceuticals (LGND), Biogen (BIIB), Vertex Pharmaceuticals (VRTX), Regenxbio (RGNX), Sarepta Therapeutics (SRPT), Reata Pharma (RETA), Verastem (VSTM), Endocyte (ECYT), Heron Therapeutics (HRTX), Arrowhead Pharmaceuticals (ARWR), Affymed (AFMD), Endo International (ENDP), Intercept Pharmaceuticals (ICPT), Mirati Therapeutics (MRTX), Viking Therapeutics (VKTX), Acceleron Pharma (XLRN), Neurocrine Biosciences (NBIX), Immunomedics (IMMU), Tandem Diabetes (TNDM), Renewable Energy (REGI), Natera (NTRA), Turtle Beach (HEAR), Funko (FNKO), Mallinckrodt (MNK), Invitae (NVTA), and TransEnterix (TRXC).